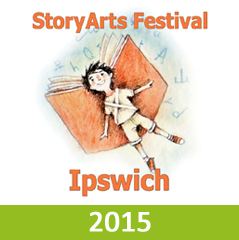 The 2015 StoryArts Festival was held from September 6 2015. The 2013 StoryArts Festival was officially opened at Ipswich Community gallery on Saturday 7th September, with a viewing of The Very Hungry Caterpillar: A Quilt Project by Karen Walden and accompanying children's exhibition which will remain on display at the Ipswich Community Gallery 7 September – 4 October. 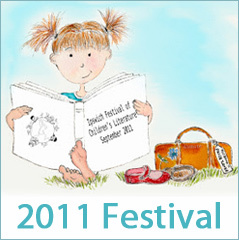 In 2011 the Festival was officially opened at St Paul's Hall on Saturday 3rd September, followed by an afternoon tea and viewing of an exhibition of students' art work at the Ipswich Community Gallery. One World, Many Stories: The Mirror Project was an exhibition created by children in response to the illustrations in Jeannie Baker's book Mirror. 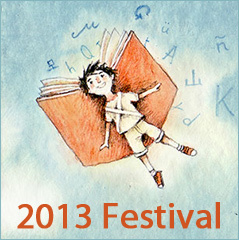 For pictures, stories and videos on the festival, please visit the official blog.